Exploration for oil and gas remains the critical industry for energy supply. The oil and gas industry has to deal with some of the most dangerous and toxic materials in often challenging and hostile environments. Safety and accuracy are not only essential prerequisites to successful projects, these values are ingrained into the DNA of the oil and gas industry. Oil and gas platforms need to release gases safely. This may be to reduce sudden increases in pressure, or to ensure safe plant start-ups or shut-downs. Releasing potentially toxic gases into the air is more risky and less environmentally safe than burning gas through a flare stack. The Environmental Protection Agency (EPA) in the United States has estimated that when gas is flared rather than vented, the emissions of volatile organic chemicals and hazardous air pollutants could be reduced by around a factor of 4. To comply with safety regulations and government emissions standards, flare stacks need to be monitored. Fluenta has more than 30 years’ expertise in the accurate measurement of flare gas. Using ultrasound technology combined with bespoke patented measurement techniques, Fluenta’s products are recognised globally for their accuracy and reliability. Fluenta’s products have been deployed thousands of times across the globe including with trusted oil and gas brands such as BP, Exxon, Shell, Equinor, and Total. Our commitment to R&D means that we are constantly improving the accuracy of our product range, delivering patent protected technology to the market. Fluenta can inspect your site to provide an accurate and effective analysis of how the company can help your business, suggesting locations for flow and composition monitors and advising how this will impact production. Fluenta will design a suitable solution for your needs, with detailed information on how this will work and likely implications on site. Fluenta will install all relevant products in a timely manner to comply with relevant safety regulations. We will ensure that all products are functioning correctly and that staff are trained on what is required from them. Fluenta will provide a holistic service programme, ensuring that you can continue to rely on accurate measurement for the lifetime of the Fluenta product. Interested in knowing how we can help you measure more accurately? Fluenta products help the chemical industry to more effectively sense, measure and monitor gas flow, providing the accurate information necessary to make more effective decisions. The chemical industry is one of the largest manufacturing industries in every developed and emerging country. 70% of chemicals manufactured are used to make products for other industries including healthcare, cosmetics and construction. The chemical industry relies on combining raw materials, often under pressure and at heat, to create useable products. This can be a dangerous environment where the safety of personnel and property is at risk if not carefully monitored and measured. The accurate measurement of fluids and gases, particularly under pressure, is an essential element to safely creating chemical solutions. We work with some of the largest chemicals company in the world to deliver continually improving performance across entire operations. 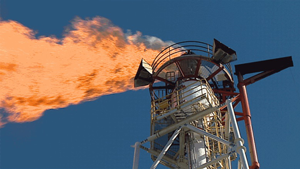 Fluenta’s ultrasonic flare meters increase the accuracy of emissions readings and enable detailed reporting and effective management of routine flaring. Accuracy and safety are essential to our operation and Fluenta provides the reliability that enables us to accurately monitor our flaring. Accurate and reliable information on flare monitoring is essential to our reporting. Fluenta delivers powerful and reliable information on this. Fluenta is the global leader in ultrasonic technology – by far the most accurate means to measure the flow of liquid or gas. Our flare gas monitoring solutions can be deployed by companies operating in Liquefied Natural Gas (LNG) to provide accurate measurement in some of the most challenging environments in the world. The ultrasonic measurement signals in Fluenta’s meters enable accurate measurement at extended high and low temperatures, as well as in large pipe diameters or where high levels of CO2, methane or hydrogen are present. Fluenta’s unique transducers do not intrude within the pipe and are less exposed to corrosion, needing significantly less maintenance than other meters. This level of efficiency in multiple applications not only provides our customers with accurate measurement but the ability to manage and reduce emissions. Companies operating in LNG benefit from cost and environment saving strategies and while ensuring regulatory compliance.